We sell three sizes of Schnauzers – Miniature, Toy and Teacup. We also breed to produce nearly every possible color that exists for a Schnauzer. Our purchase price for a puppy varies depending on size and color. While we do our best to estimate puppy size at maturity based on size of parents and previous litters etc, we cannot guarantee mature size. We do our best to give you an accurate estimate and where the estimate sits on the border between two sizes, the price charged will be the lower price. No money is required if you simply want to go on a waitlist however, our waitlists tend to fill very quickly so if I have a nearly full waitlist for a litter well in advance of a litter being born, I may request a reservation fee of $100 for anyone who wants to commit to a puppy from the upcoming litter. The reservation fee is non-refundable and will be applied to the purchase price of the puppy. If we have a smaller litter than expected or if the color/gender combination you are looking for does not show up in the litter, your reservation fee can be moved to the next available litter. People on the waitlist for a particular litter will be notified if a reservation fee is required. Once puppies are born, a deposit of $350 is required to hold your puppy until it is ready for its new home. A second payment of $350 is required when puppies are 4 weeks old. The balance owing for your puppy is due in cash when the puppy is picked up. The puppy deposit is refundable until the puppy is 4 weeks old. If you decide not to take the puppy after its 4 week birthday, your money will be refunded less $50 for an administration fee. As of September, 2009, we have made arrangements with our vet at Clearbrook Animal Hospital to spay/neuter puppies at 7 weeks of age. I have resisted offering this procedure in the past fearing that it would be a difficult process to put young puppies through but after visiting a breeder friend of mine who has been doing all her puppies for years, I was convinced that it was actually better. Puppies were taken to the vet in the morning and picked up at noon. By supper, when all the puppies were running around in the yard, you could not tell which puppies had been altered and which hadn’t. There were no complications, no fasting prior to surgery, no stitches to remove and no additional painkillers required. Puppies bounced back so quickly, it was amazing! By the time they went home a week later you could barely see any incision. With the early spay/neuter, secondary characteristics associated with sexual maturity rarely present themselves and you are able to avoid having to deal with behaviour normally associated with hormones. Microchips are inserted after pups have their spay/neuter surgery. When you pick up your puppy, you will be given the registration form which, when submitted with your payment of $19, will register your puppy in the national database thus increasing the possibility of a lost/stolen pet being returned to you. If you want to take advantage of the early spay/neuter and Microchip, we are offering the procedure to anyone purchasing one of our puppies for a significantly reduced price of $175. This is a substantial savings over what you would pay if you waited until your puppy was 6 months to a year of age. This price includes taxes. Please let us know if you want this option added to your invoice. Please note: if you are purchasing a toy/teacup schnauzer puppy, our vet will only perform the early spay/neuter if puppies are 2-3 lbs by the time they are 7 weeks old. If they are weigh less than that, the early spay/neuter is not an option and the price of your puppy will be adjusted to the price listed above for the estimated mature size of your puppy. 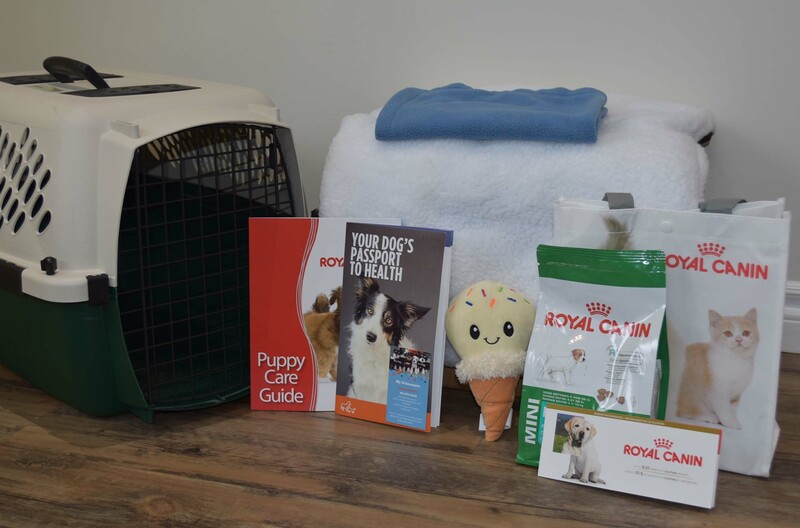 You are welcome to make your own arrangements with your vet to have this done once you get your puppy home. All our puppies are crate trained prior to leaving for their new homes. Most will be very comfortable being in a crate for short periods of time. As a new puppy owner, we know your life will be considerably less frustrating if you continue to use a crate after you take your puppy home. 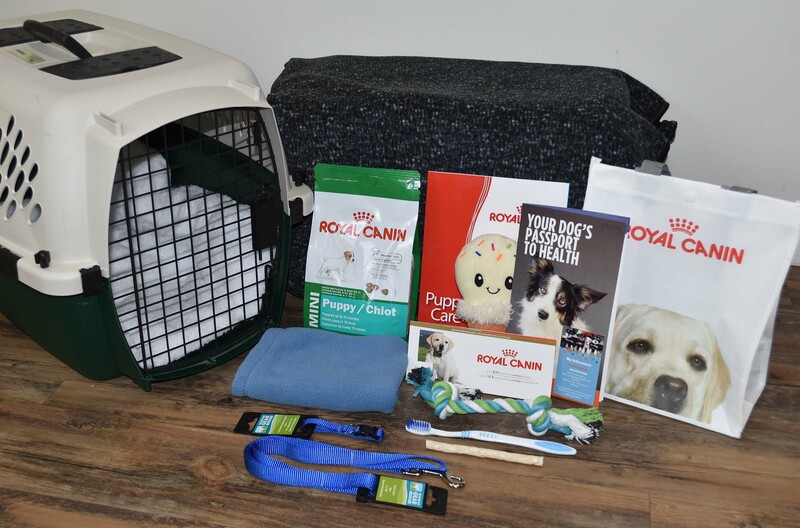 If you would like a crate for your puppy, we have put together three different crate packages for your convenience. The crate in your package is sized to fit your puppy as an adult so it should be the only crate you need for your puppy. Crates are also airline approved so if you fly with your dog as an adult, you can use the same crate when shipping your dog as cargo. 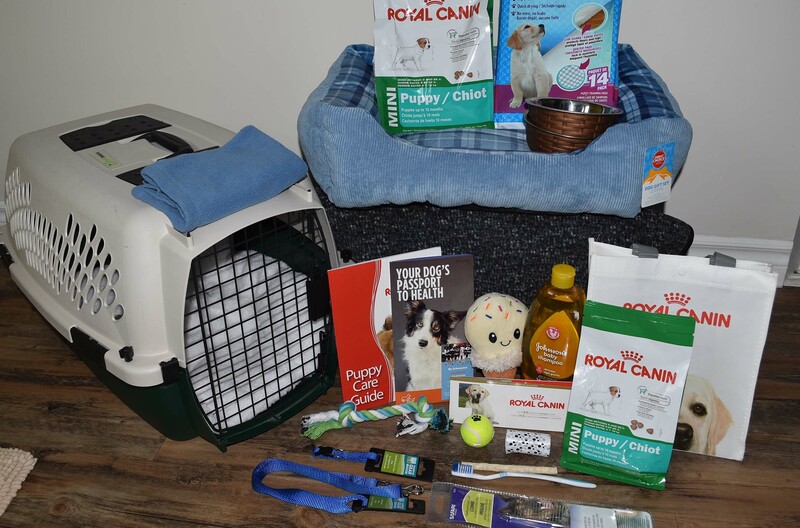 Our basic crate package starts at just $55 plus tax and includes the crate, crate pad/bed, toy and your puppy being bathed and groomed before it leaves for your home. Purchased separately, this is a $90 value that you get for $55. The crate packages, what is included in each and the prices are outlined below. Please let us know if you want any of these packages added to your invoice. We ship our puppies across Canada and into the USA as long as puppies are at least 8 weeks old. If you live too far away to come pick up your puppy, we can ship it to you via air on a choice of several major airlines. Prices for shipping will vary according to the weight of the puppy and crate, the size of the crate and the distance the puppy travels. Prices are usually around $200-$300. If you are shipping the puppy, the crate package will automatically be added to your invoice because you must have an airline approved crate for shipping. This way we make sure it is the right size for your puppy and the puppy has time to get used to being in it before it is shipped. Your puppy must be paid for in full (including the shipping charges) at least 3 days prior to the day the puppy flies home. We will coordinate the shipping date and time with you in advance. Please be flexible as to times as we prefer to ship puppies on the most direct flight available to minimize the stress to the puppy. We also reserve the right to keep the puppy here longer if necessary to make sure it is physically and emotionally ready for the trip. We accept cash, cheque, PayPal or electronic money transfer for all deposits and 4 week puppy payments. Final payments must be cash, email money transfer or PayPal. Please do not make a payment unless one is requested of you. 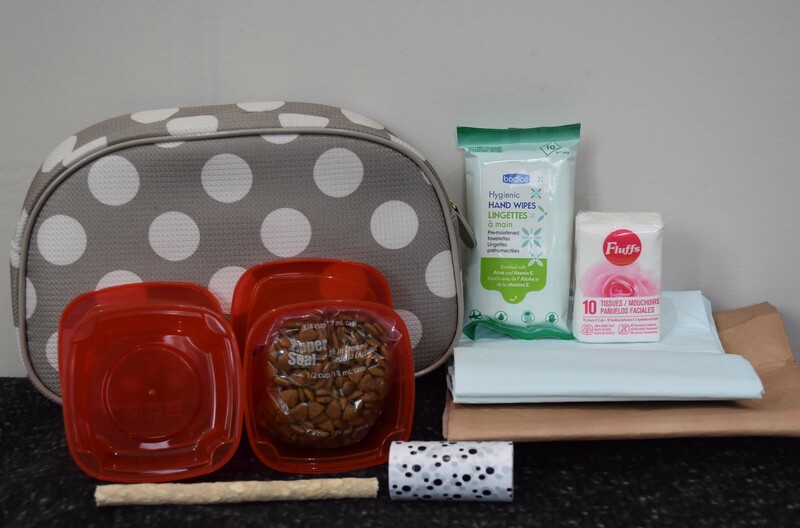 Crate sized to fit puppy as an adult, Sample food bag, Puppy info booklet, Health booklet, Book of coupons, Mommy blanket, Toy, Crate pad, Carry bag. Pup is also bathed and groomed prior to going home. Puppy visits must be scheduled in advance. Please contact us to book an appointment to view the puppies. Contact us for location details & directions.